The Speaker of Parliament, Rebecca Kadaga, (fifth from right) with members of the Commonwealth Parliamentary Association (CPA) Executive Committee, meeting in London, UK. LONDON, UK: The Speaker of Parliament, Rebecca Kadaga, has presented a report on the status of preparedness of Uganda to host the September 2019 64th Commonwealth Parliamentary Conference. 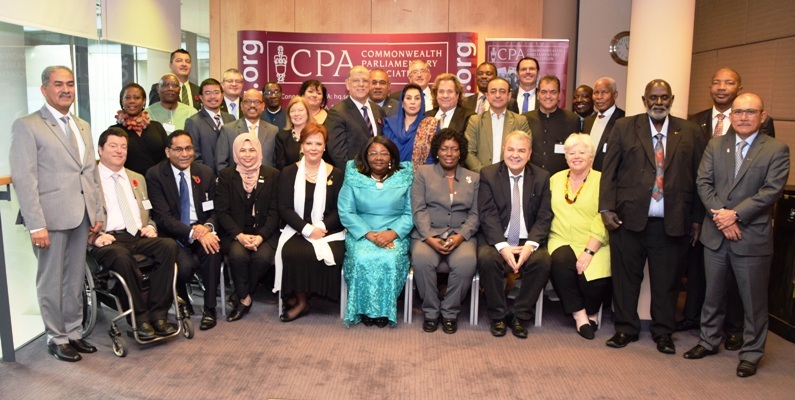 Kadaga presented the report to the Commonwealth Parliamentary Association (CPA) Executive Committee, meeting in London, UK. Kadaga told the Executive Committee that a functional organizing team had been established by Parliament of Uganda, to execute and monitor the conference activities, with the meeting venue already confirmed. “In our planning meetings so far, the team has recommended Speke Resort Munyonyo as the venue to host conference meetings as well as set up essential support offices,” said Kadaga. She also noted that the delegates to the conference would get the opportunity to tour Uganda in excursions to be undertaken to different regions, with delegates indicating their areas of preference for visit, during registration. “The last time Uganda hosted the CPC was in 1967. 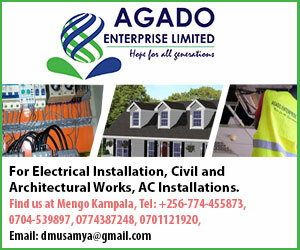 The infrastructure and the population may have changed in the recent years, but Uganda’s beauty and hospitality remains the same,” Kadaga told the Committee. In the meeting held at the Double Tree Hilton Hotel in Westminster, London on Thursday, 08 November 2018, the Committee commended Kadaga on the progress and requested a detailed flow of the conference activities. “The Secretary General will visit Uganda in January 2019 so as to inspect the state of readiness for the September event,” noted CPA Chairperson Emilia Lifaka (MP, Cameroon). Speaker Kadaga was recognised for her work and voted by the Executive Committee as President Designate to the Commonwealth Parliamentary Association. The Executive Committee meeting was attended by members from CPA’s nine regions namely: Africa, Asia, Australia, British Islands and Mediterranean, Canada, the Caribbean, India, the Pacific and South-East Asia. Uganda offered to host the 64th Commonwealth Parliamentary Conference that is preceded by the 63rd session that was held in Dakar, Bangladesh in 2017. The theme for the upcoming conference is “Adaption, Engagement and Evolution in a rapidly changing Commonwealth”, which was adopted in a CPC meeting held earlier this year in Mauritius.